Explanation: Is this old galaxy up to new tricks? The barred spiral galaxy NGC 4314 is billions of years old, but its appearance has changed markedly over just the past few millions of years. During that time, a nuclear ring of bright young stars has been evolving. 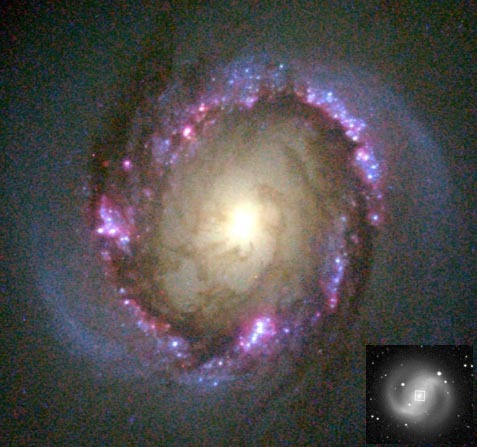 The inset picture of NGC 4314 taken by McDonald Observatory shows the whole galaxy and boxes the small region around the core imaged by the Hubble Space Telescope. This inner region appears much like a miniature spiral galaxy itself, complete with dust lanes and spiral arms, even though it is only a few thousand light-years across. 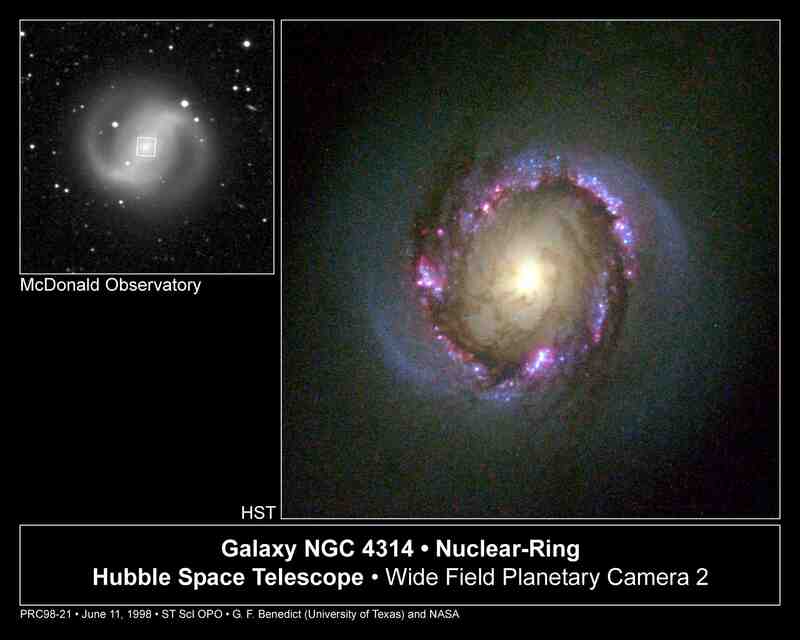 Further study of NGC 4314 might help astronomers understand how the inner and outer parts of this galaxy interact, and what caused this unusual ring of star formation.